Advanced Enzymes Technologies Ltd. was incorporated in 1989. However, our journey began in 1957, when our founder Late L. C. Rathi pioneered the extraction of papain, an enzyme complex derived from papaya fruit and widely used for pharmaceutical and medical purposes. He went on to set up India’s first enzyme manufacturing plant in 1958. Since then, we have continued to grow with that same entrepreneurial and innovative spirit and are today, the largest producer of enzymes in central Asia! Acquired 100% stake in a German based company evoxx technologies GmbH. Conducts IPO & lists itself on the Indian Stock Exchanges. Acquires majority stake in JC Biotech. Advanced Enzymes has received the Bio-Excellence award for being the Best Industrial Biotech Company at Bangalore India Bio 2014 event - the premier Biotechnology event in the country. Advanced Enzymes is ranked amongst the top 500 of India’s fastest-growing mid-sized companies list for 2013 by Inc. India. Advanced Enzymes is ranked amongst the top 500 as part of Inc. India's fastest-growing mid-sized companies' list for 2012. Advanced Enzymes consolidates it presence in the US with the take over of Advanced Supplementary Technologies Corporation as a step down subsidiary. Advanced Enzymes is awarded 1st runner-up as the Most Innovative Exporter by ECGC - D&B Indian Exporters' Excellence Awards 2012. Phase II of fermentation facility is inaugurated at Pitampur SEZ near Indore. Advanced Enzymes receives its first US patent. 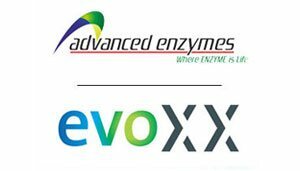 Advanced Enzymes expands its presence in the US with the takeover of Cal India Foods International (Specialty Enzymes and Biotechnologies) as a step down subsidiary. Advanced Enzymes is honoured with the 'Emerging India Awards 2010' for Life Science - Pharmaceuticals & Chemicals segment organized by ICICI Business Banking and CNBC TV18. Advanced Enzymes receives the Bio-Excellence 2010 award as the Best Industrial Biotech Company of the year by the department of IT-BT & ST, Govt. of Karnataka. Advanced Enzyme Far East Ltd., a subsidiary of Advanced Enzymes is dedicated to serving the Chinese market. Advanced Enzytech Solutions Ltd (Enzytech) is established as a subsidiary of Advanced Enzymes to cover non-food processing divisions. Phase I of the export oriented fermentation facility is completed at Pitampur SEZ near Indore. Advanced Enzymes acquires 10 Acre land at Pitampur SEZ near Indore to setup state-of-the-art export oriented facility. Advanced Biochemicals Limited is renamed as Advanced Enzyme Technologies Limited (or Advanced Enzymes). Sinnar Factory receives WHO CGMP certification. Advanced Biochemicals is ranked as the largest domestic manufacturer of Industrial Enzymes. Advanced Biochemicals files its first patent. Sinnar Factory receives ISO 9001:2000 Systems certification. Advanced Biochemicals' in-house R&D labs at Thane and Sinnar are recognized by the Department of Scientific and Industrial Research (DSIR), Ministry of Science and Technology, Government of India. Advanced Biochemicals turns around and reports its first profits. Advanced Biochemicals sets up a dedicated Application Research facility. Advanced Biochemicals sets up fermentation-based enzyme manufacturing plant with the help of foreign collaboration. Establishment of Rathi Papains Pvt. Ltd. with Mr. L.C.Rathi and Mrs. Savita Rathi as it's founding directors. Advanced Biochemicals Private Ltd is incorporated to offer global and holistic enzyme solutions. Acquisition of Super Organic Research Laboratories (SORL) to begin extraction of several commercial enzymes. Mr. L.C. Rathi pioneered the production of an enzyme called Papain. Mr. L.C. Rathi sets up India's first enzyme manufacturing plant.